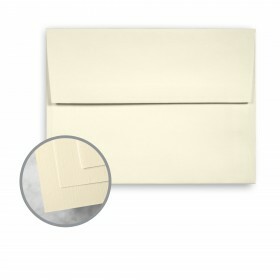 Fine textured papers are sought out by those who wish to communicate something more than just words and images. And linen texture has long been the standard for communicating taste and class. HOWARD Linen offers the tactile and visual interest that makes annual reports pop, business correspondence sing, and brochures beam. When this paper is closely viewed, one can see the warp and weave - even the slight irregularities that makes actual linen so appealing. 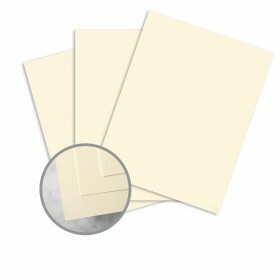 As a backdrop for your printing, it provides a very interesting - yet soft-spoken - texture. 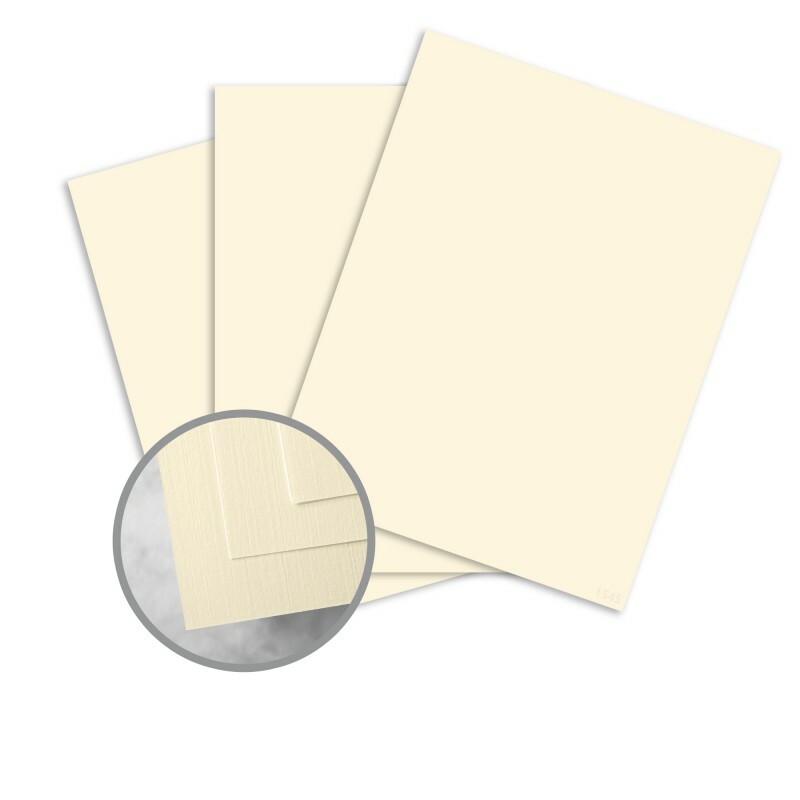 Often the first choice for business cards, HOWARD Linen is also excellent for report covers, folders, menus,envelopes personal and business correspondence and stationery packages. And because the writing weight is designed for desktop use, it will print perfectly on your office laser or ink-jet. 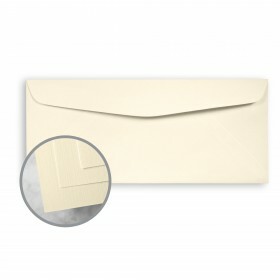 HOWARD Linen is also the perfect choice for embossing, yielding spectacular results. Bright White has a brightness level of 96 for the formal look of a starched white shirt, and the lively ivory has a softer, warmer, more natural appeal. And, HOWARD Linen is manufactured acid free with archival properties for longer life. When you're looking for a little added flair, try HOWARD Linen?it's patterned for success. Howard Linen Papers are easy to print on when following these simple hints. It is recommended to pre-test all printing procedures prior to press time to ensure the desired results are achieved. Print Howard Linen like any conventional uncoated paper. We recommend heat resistant, wax free ink if you plan to follow lithography with xerographic or laser printing technologies. Keep Howard Linen products wrapped until the moment of printing. It is essential to let the paper acclimate, for a minimum of 24 hours – longer during cold weather – in the press room while still wrapped in mill packaging. Keep Howard Linen products covered during drying, between passes and prior to any finishing work. Pressroom conditions should be as close as possible to 68 degrees, and 45-60% relative humidity. To properly score Howard Linen, use a 2 point rounded channel score. For the backing matrix, it is recommended to use a minimum width of 2.5 times the caliper of the sheet to be scored, plus 28/1000”. Score with the grain, using a light letterpress score (not on-press litho-scoring). Fold into the bead of the score. 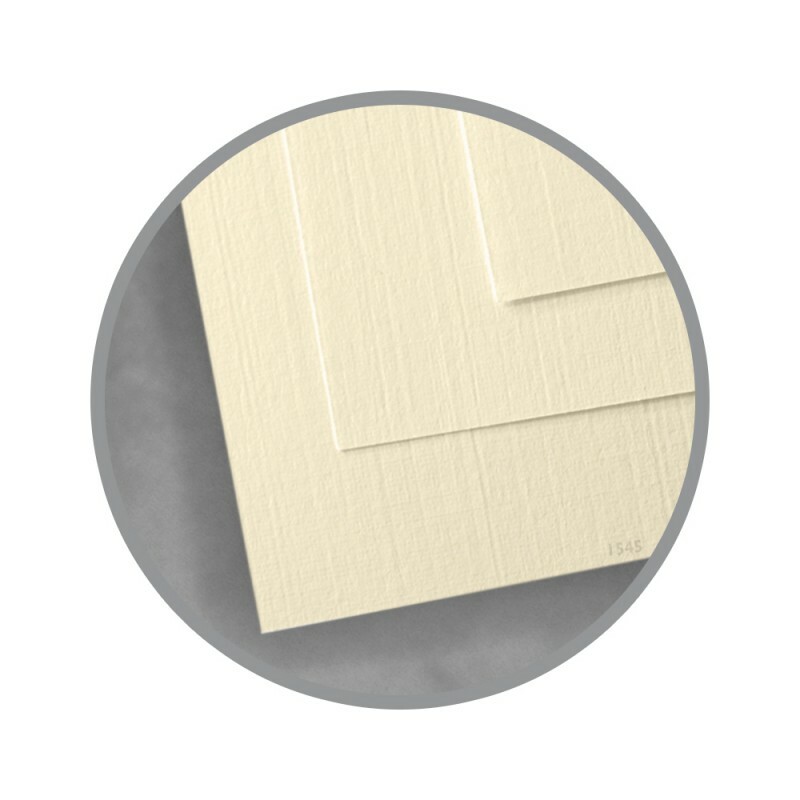 Howard Linen is suitable for all standard binding processes. It is important to plan for proper grain direction in all binding applications. Grain direction should run parallel to the spine for optimum results. TechReady® 24 lb writing sheet is guaranteed for laser and ink jet printing. This guarantee is extended to preprinted forms as long as the laser and ink jet printing is applied to unprinted areas of the paper. TechReady® is a registered trademark of Neenah Paper Paper.